Is your mind-set holding back your marketing? Marketing is a big cost. We should market to as many people as we possibly can. We should ‘get our name out there’. However these beliefs are false and prevent businesses from effectively marketing their business. Instead, Shweta recommends every business owner should follow these seven steps, and they’ll find themselves churning out marketing that brings in quality leads and – importantly – recovers its own costs. Put a number to it. Get as specific as you can about the who, where, what and how. How do you determine that number? Start by aligning it with your Measurable Business Objectives (MBOs) – which should also be specific. These have to align, otherwise what is the point in your marketing? You don’t need to figure out your target market but rather your target person. That is; who is the ideal person for you to sell your product to? What does this person like? What are the common problems this person faces? How does this person communicate? You need to step inside your ideal target person’s shoes and figure out what their problem is. An easy way to map this out is to use a graph that goes from imagined to immediate on one axis and towards and away on the other axis. You then have four quadrants where you can fill in problems associated with this person. You should have roughly three in each quadrant. When you map it out this way, you can then consider the different issues in each quadrant and how to approach them. When you are creating a marketing budget, you must first think about the allowable budget to acquire a client. You do this by figuring out the gross profit of your products. That is, taking the price that you’re selling your product for and taking away the variable costs involved in producing it. That gross profit then becomes the absolute maximum that you have to spend in acquiring your customer. If you aren’t a corporate yet, then your primary focus needs to be on brand activation, rather than awareness. That is, every piece of marketing you do should have a clear call to action (CTA) with a strong reason. You then need to decide how much you’re spending and what channel you’re using. Use your allowable acquisition costs and compare it to the actual acquisition costs (the conversion rate of that channel). From this you can figure out which channel makes the most sense, and which ones need improving. Once you’ve chosen your channel and run a campaign you then need to measure the actual return from your marketing investment. You’d use the same calculations as you used to determine which channel was better, but with the actual numbers that have come from your campaign. Importantly, find out what the final net position is. Is it positive? If so – then do it again and again and again. You have just created an unlimited marketing budget. Now that you have found a strategy that works and continue over and over, it’s time to systemise it. Explore automation tools and train your team so they can maintain the process with minimal input from you. Once that’s sorted out you can then leave that to operate by itself, while you spend your time seeking out further sources of unlimited marketing budget. 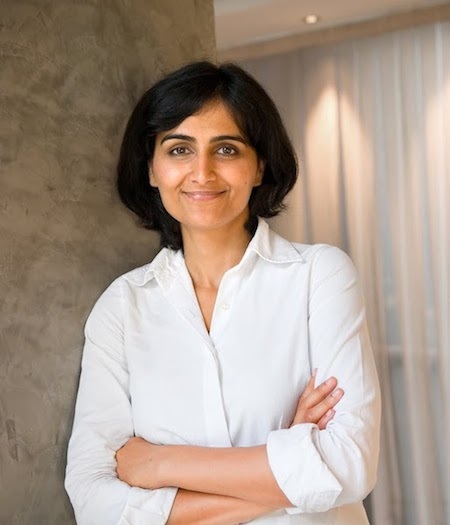 Article submitted by Shweta Jhajharia, Principal Coach and founder of The London Coaching Group, is a multi- award-winning business coach, recognised both by external bodies and the industry awards panels as the top coach in the UK. Despite competitive economy, her clients across sectors consistently achieve measurable double digit growth (over 41%) and are the most awarded client base in UK.